Some time after 1897 John Youngs set up his Crown Brewery on King Street. In 1851 Charles Crawshay joined the business by which time its tied estate amounted to around 90 pubs. Over the following years the brewery expanded until it occupied around three acres of land. In 1900 it set up an architects and surveyors department which spearheaded the firms’ pioneering approach to the modernisation of its public houses. 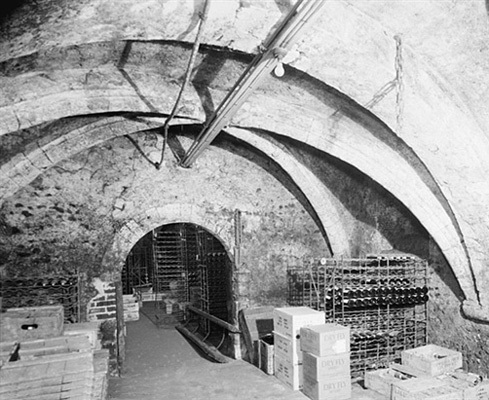 Between 1923 and 1937 the firm were awarded seven first prize medals at the London Brewers’ Exhibition. Over the same period their tied estate expanded so that immediately before WWII the brewery’s estate extended to 250 tied houses. However, despite their size and the quality of their brews in 1958 the company were taken over by Bullards and the Crown Brewery was closed. 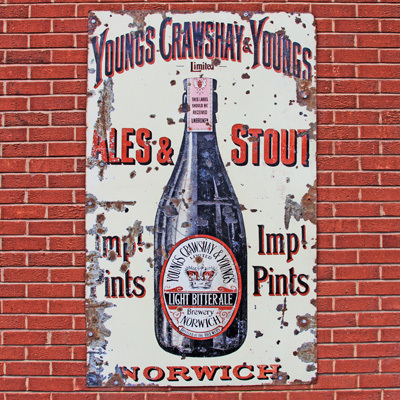 In 1961 the Norfolk Education Committee purchased the brewery site. It is now home to the Wensum Lodge Adult Education Centre. Though much of the brewery was destroyed in 1965, some buildings have survived. These include the stables, which have been converted info a conference hall called the Crown Room, whilst the riverside coffee bar is housed in an old malting.